Read these 3 tips to help you improve your sales prospecting and increase both referrals and sales in this post by LinkedIn Sales. Most sales cycle require numerous touch points before securing the sale. Thanks to social selling, gaining access to the decision maker and understanding more about them is easier than it was just a few short years ago. But maintaining contact with prospects still requires both patience and persistence. Building a sales pipeline is a fundamental step to success for sales people. It’s important to build the pipeline with both short-term and long-term opportunities to maximize your close ratio and ensure the pipeline never runs dry. Here are 3 tips to prime your sales prospecting pipeline. The best salespeople recognize the difference between aggressive selling and being professionally persistent when following up with a prospect. Remaining professionally persistent for most means the opportunity is still alive up until the point that your prospect has signed an agreement with another company. If your prospect is in the ‘Not Now’ phase, consider letting them remain there for a period of time. Your follow-up doesn’t have to be (and probably shouldn’t be) only about your product or service. Rather, follow-up to connect with them about industry news, an upcoming event you both might be attending or just a casual hello to remind them that you are available when they are ready to talk. Relevant, periodic follow-up helps keep you top of mind and builds you as a trusted source of information. If you haven’t outlined a referral strategy before, take a peek at successful strategies others have already tested. In this case, Mark Hunter , a top sales trainer, has shared his “blitz” referral strategy and how he’s leveraged it to increase referrals. Referral Strategy #1 – In April, Mark announces to his customers that the company is having a “referral blitz.” Then he asks for 1 or 2 names of people they think might benefit from his company’s solution. Referral Strategy #2 – In August, he calls his customers and says, “You’ve been working with us for some time. What are some of the things you like about what we’re doing?” He thanks them for their feedback and adds, “I bet you know some other people we could help.” Mark just made it easy for his customers to feel helpful. Referral Strategy #3 – In December, Mark calls his customers to thank them for their business. He considers December to be the best month for sales prospecting because the holidays tend to disrupt a person’s routine. He discusses how business is going, what they foresee in the coming year and so on. Then he simply asks for referrals. Using this blitz strategy, Mark is being professionally persistent and tapping into a person’s natural inclination to be helpful. A great social selling strategy enables you to connect with and engage prospects in their preferred online channels. According to the Aberdeen Group, 79% of sales reps who incorporated social selling achieved their quota over the last calendar year. For example, when sending informative InMails, be sure to include a relevant article or piece of news and include insight about why it’s important to them. As long as you focus on brevity and directness, your prospects will look forward to hearing from you. In addition, the sharing of content regularly will reinforce your position as a valued partner. “The best reps are not just present in social media, they position themselves as credible and influential sources in customer networks,” states the Sales Executive Council. Building your pipeline is as simple as taking the time to listen, engage and respond in a meaningful way on a regular basis. Sales prospecting should focus on meeting the needs of the person you are contacting first, selling second. Position yourself as valued resource and it only makes sense that you become the preferred choice when they are ready to buy. 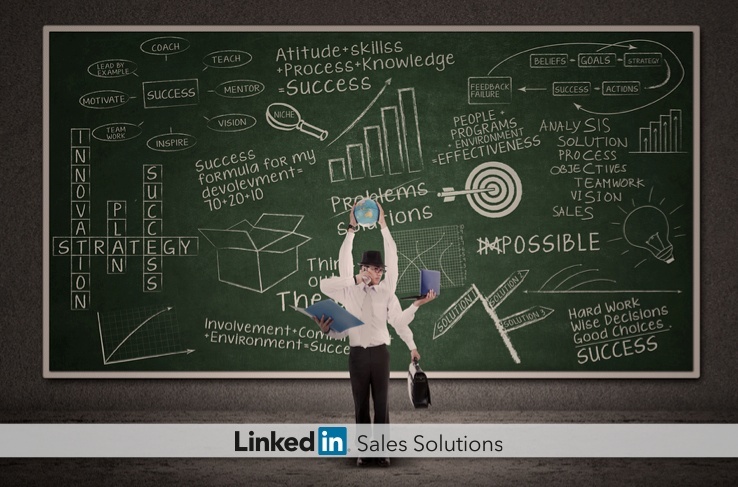 What are some sales prospecting tactics you’ve used successfully to prime your pipeline?